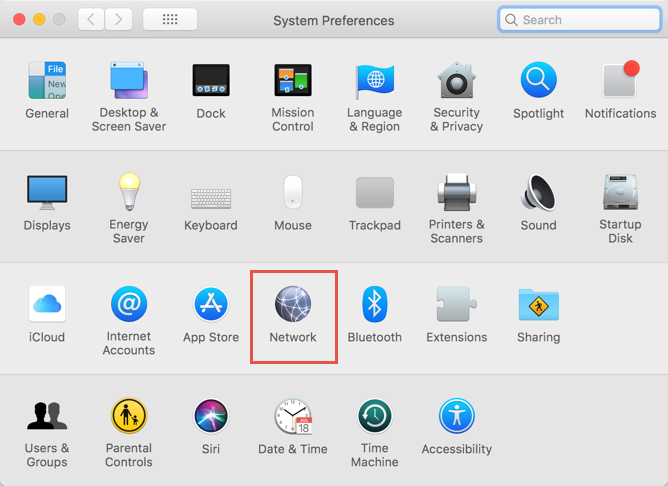 Home » Tech Tips » Mac » How to Change DNS Servers in Mac OS? DNS servers help to fetch the correct IP address of the URLs requested from a client computer. All browsers like Safari, Chrome or Firefox running on a client computer by default use the DNS server settings of the Internet Service Provider (ISP). Sometimes it is necessary to change the default DNS servers in order to ensure unrestricted, safe and fast surfing experience. This also will help to resolve IP related problems like resolving host issue in Google Chrome browser and helps the sites load faster. 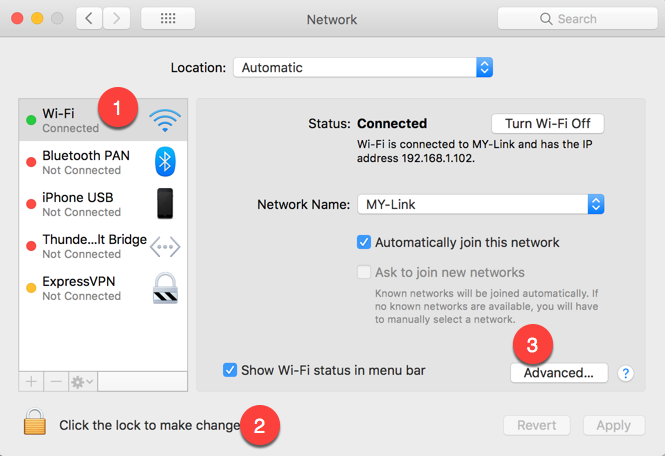 This article explains the step by step process of how to change DNS servers IP addresses in Apple macOS High Sierra. We use Google public DNS servers in this example, while you can use any reliable DNS. Click on the Apple icon on the top left corner of your Mac and go to “System Preferences…” option. Alternatively press “Command + Spacer bar” to open spotlight search box and search for “system preference”. 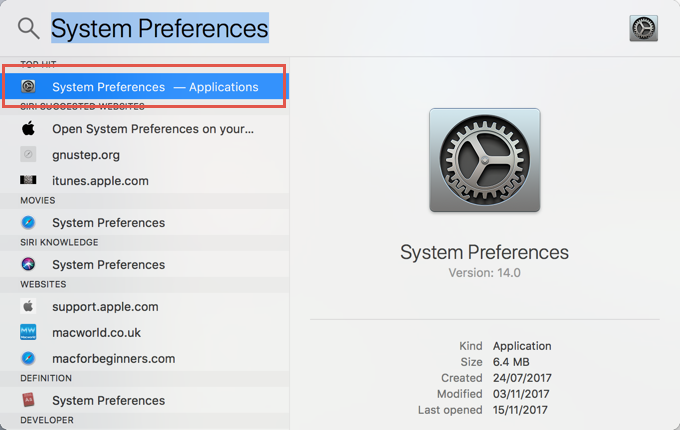 Click on the “System Preference” application. Click on “Network” icon as shown in the below picture. Choose the network adapter showing in green signal indicating the connection. In general this should be your Wi-Fi connection showing first in the list on the right sidebar. It should be an ethernet connection if you are still using old Mac with cable connection. Click on the “Click the lock to make changes” option. Provide your administrator password and enable edit options. Click on the “Advanced…” button. Navigate to DNS tab where you can see the default DNS servers assigned by your ISP in the box. Select the default DNS servers and click on the – button to remove them. Again click on + button and add your own DNS server details. Click on OK button to save your changes. That’s it!!! You have successfully changed the DNS servers in your Mac. 1. Remember to enter two IP addresses one for primary and other for secondary server. 2. 8.8.8.8 and 8.8.4.4 are IPv4 addresses. In case of IPv6, you should use, 2001:4860:4860::8888 and 2001:4860:4860::8844 for primary and secondary servers respectively. Great tip thanks ,made my life so much easier.